You may remember the numbers I bought for my Jewish New Year cards. 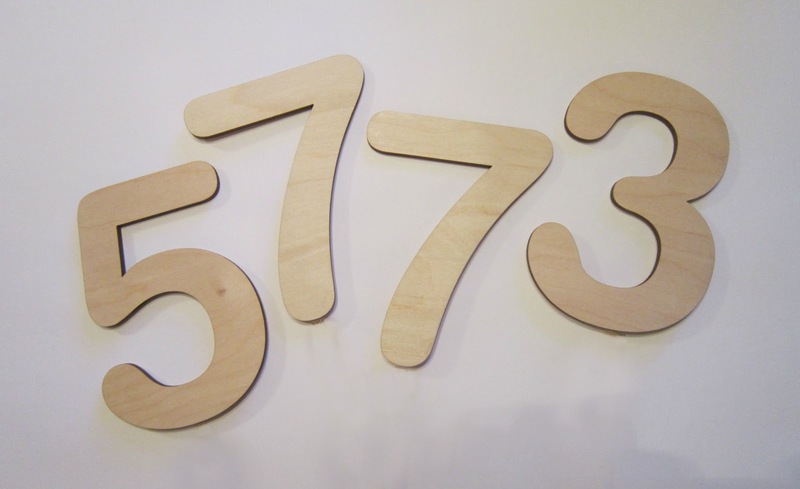 When the photo session was over I was left with these really nice Birch wood numbers, spelling out the new year on the Jewish calendar--5773. It seemed a shame not to use them one more time, so I incorporated them into a quick centerpiece using things I already had. I picked up extra wood coffee stirrers (during my daily trip!) at Starbucks and glued them to the back of each number with wood glue. Next I soaked some floral oasis in water (you can buy a block of oasis from the floral department of most supermarkets) and fit that into a steel rectangular container I picked up at Restoration Hardware a few years back. For the flowers, I went outside to my yard and snipped whatever I found in bloom--Sedem, green leaves from Geranium, and those fuzzy purple flowers that are taking over my garden! (Anyone know what they're called)? 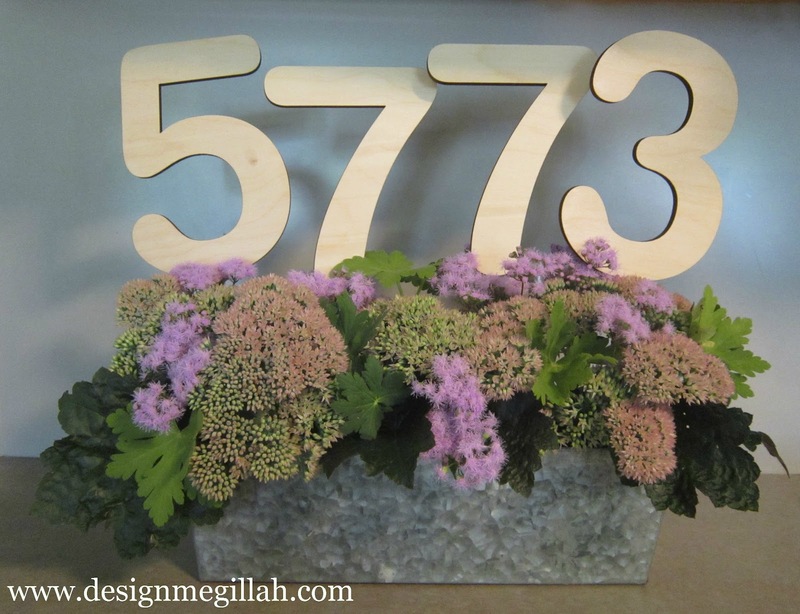 If you'd like to copy this idea but don't have time to order wood numbers and have them shipped before Rosh Hashanah, you can use house numbers from the home improvement store--just glue them to wood sticks or skewers. The flowers can be purchased from the supermarket and you could use four flower pots instead of one long rectangular pot. It's a fun way to remind your guests the new year on the Jewish calendar! I love this idea and it can totally be modified for so many different ways. Thanks for sharing and shana tova!